This article first appeared in The Edge Financial Daily, on August 16, 2017. 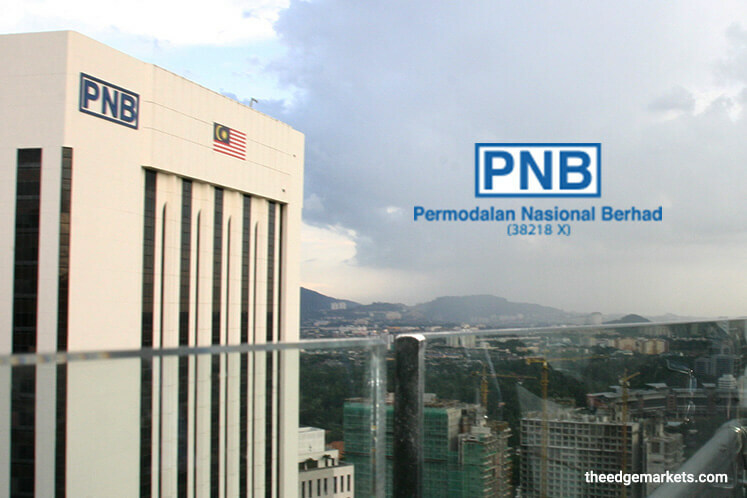 KUALA LUMPUR: Permodalan Nasional Bhd (PNB) said it is in the midst of studying a potential issuance of Islamic shares (i-shares) by Malayan Banking Bhd (Maybank), which will be linked to the Islamic banking business of the banking group. PNB group chairman Tan Sri Abdul Wahid Omar said currently about 25% of the Maybank group’s earnings come from the syariah-compliant businesses, and proposed that 20% of the group’s shares can be designated as i-shares. “It is not an option for Maybank, or for that matter any of the other banking groups like CIMB Group Holdings Bhd and RHB Bank Bhd to carve out and list their Islamic businesses separately. “The question that we asked ourselves was that, what if we could come up with a ring-fencing mechanism whereby the profits coming from the syariah-compliant activities are funnelled into and used to pay a portion of the dividends for the i-shares?” Abdul Wahid told the media yesterday. He added that this would be similar to Public Bank Bhd’s separate quotations for its local and foreign shares, also known as the PBB “L” and PBB “F” shares, back in 1989. However, the shares have since been merged to trade under one counter in 2014. The move to list i-shares would provide an extra boost to the Malaysian Islamic capital market, said Abdul Wahid, adding that there are currently only two listed syariah-compliant financial institutions in Malaysia — BIMB Holdings Bhd and Syarikat Takaful Malaysia Bhd. If the plan goes through, it will create RM20 billion worth of new syariah-compliant instruments, which is three times bigger than BIMB’s market capitalisation. Abdul Wahid said Maybank will be the first to adopt this structure and it will pave the way for other banks such as CIMB and RHB to follow suit, as well as Bursa Malaysia Bhd itself. “Since 60% of the companies listed on Bursa are already syariah-compliant, it means that portion of their profit is generated from syariah-compliant stocks. “What if we can designate about half of Bursa shares as i-shares? Automatically, we will have RM1.7 billion worth of syariah-compliant shares listed,” he said. Abdul Wahid also said that this has been discussed informally with some of the members of the Shariah Advisory Council, which he said were generally supportive of the idea. Abdul Wahid spoke to the media during a luncheon talk jointly organised by the Malaysian Press Institute and PNB. In his talk, he said PNB intends to increase its investments overseas, which currently account for 2% of its total portfolio, but said that the weakness in the ringgit must be taken into consideration before any new investments are made. “The last thing we want is that we make 7% returns in US dollar terms but when it is converted back to ringgit terms and the ringgit strengthens by 5% to 6%, then our net returns are only 1%,” he said. Abdul Wahid added that the group is looking at three asset classes for further investments overseas, namely public equities, private equities and real estate.